Lehenga is most useful and fashionable dress as Bridal wear in India, Bangladesh and Pakistan and are available at different boutique. Bridal Lehenga Dresses includes, Lehenga, Blouse or Kurti and Dupatta. All the dress is decorated with beautiful and stylish motif, zari, Aari work, Breeds, Booti work, Cut dana Work, Dubka work, Dori Embroidery and Gorgeous Mirror works but in different qualities. A beautiful Bridal Dress in Fishtail Lehenga style, Fishtail Lehenga also called Fish style Lehenga, As it's a Bridal wear Fish Lehnga style so the Lehenga is decorated with beautiful Dubka, Zari and Dori Embroidery and Mirror work is also looking gorgeous. The Bridal Lehenga Blouse is in short style with full neck style and have floral motif work. The Bridal Lehenga blouse is decorated with heavy embroidery. It's a stylish Indian Bridal Lehenga choli which is looking beautiful in green color, and looking gorgeous in sleeveless style, The Lehenga of Bride is long and border is decorated with stunning embroidery, The Bridal dupatta has twisty Gota patti style. In These Latest & New Bridal wear Collection It's a latest Pakistani Stylish Lehenga in red color with beautiful Dupatta. 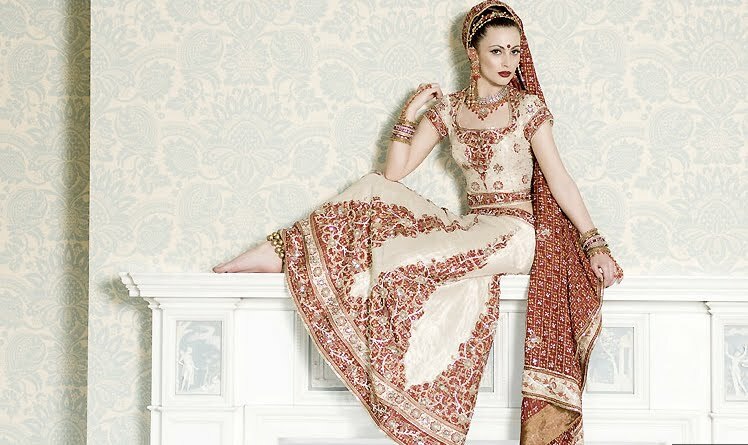 Lehenga has beautiful and stylish drapes and have beautiful Zari work. The Lehenga has Long Circular style. A beautiful Fish cut lehenga with beautiful Floral Breads work. The Lehenga blouse is simple but in Glamorous style with round neck and sleeveless style. It's a Latest Indian Stylish Bridal Lehenga Choli. This bridal dress is looking beautiful in white color with beautiful Dubka work. The Lehenga blouse is shoulder-less and short but Bridal Shoulder wear is separate and it's a latest stylish designs. 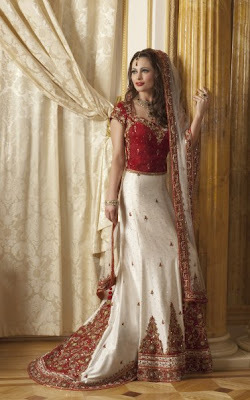 The Mermaid lehenga style is also looking gorgeous with beautiful drapes. It's a latest and new Indian Fancy style lehnga for Brides. This Indian dress is in Golden color with Fishtail lehenga. The Lehenga has beautiful golden lace/ Gota patti, The whole lehenga is decorated with floral Golden color Threads. The Bridal Blouse has round neck with beautiful zari work. New Indian Bridal Fancy Lehenga with sparkling bridal blouse in golden color. It's a BridalNew Party wear lehnga with Circular lehenga style. Modern style of Bridal Lehenga with Dubka and mirror hand work. Bridal blouse is also decorated with stylish dori and looking gorgeous in sleeveless style. The Straight cut lehenga has stunning impression on this dress. This Indian Cultural Lehnga design in Red and green color contrast. Bridal Dupatta with net transparent has beautiful floral gota patti border and Bridal Lehenga has beautiful Zari work. It's a Gorgeous Bridal Lehenga choli in dazzling pink color with beautiful silver embroidery. Fish style lehenga has beautiful stylish drapes. 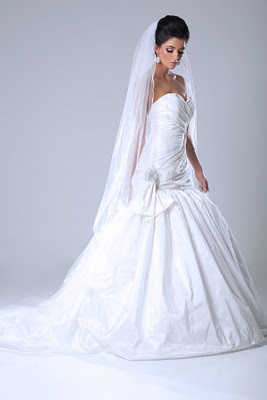 Dress worn by a bride during the wedding ceremony is called Bridal Dress. Color, style and ceremonial significance of the dress depends on the religion, culture, race and the taste of the wedding participants. In South Asia, brides usually worn heavy dresses those have been nurtured with intensive embroidery and other fancy work. The most important and the most famous Bridal Dresses in South Asia are Saree, Lehnga Choli, Shalwar Kameez embroidered dresses. All the dresses have grave and extensive fancy work to have a fancier and beautiful look. Red color is usually being selected for the dresses for brides, but now days other colors are also being preferred according to the ceremony, weather and the taste of the brides. 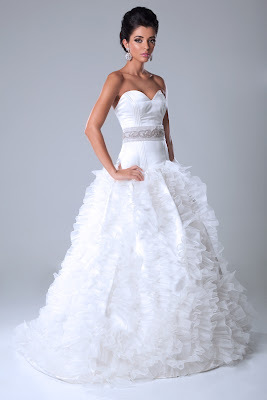 Here we have some gorgeous Bridal Dresses 2011 2012 for you. All the Bridal Dresses are made according to the current fashion and modern techniques. The design and the outfit of the dresses are really remarkable and superb; you will like all these gorgeous Bridal Dresses. This Lehnga Choli is in red color looking marvelous. Splendid work has been done on it to make this so beautiful and perfect for Bride. 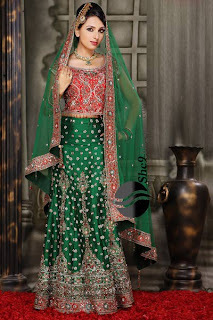 Regular lehenga outfit is looking cool with heavy embroidery and Zaree work on it. Choli is in short half sleeve pattern with low and wide crew neck style. Zaree work at bosom is perfect according to the overall designing mechanism. This Lehenga Choli Bridal Dress in purple color has unique impact of color combination and the best match of choli and lehenga pattern. Straight cut lehnga outfit is perfect for slim and smart brides. There is no heavy work on it but, it has some fancy and decent Zaree work which is looking awesome. Choli is in modern style and looking so gorgeous. Sleeve less Choli pattern with wide and low back neck style shows the modernity of this blouse. Pink color always attracts and if it has been used in Bridal Dresses, than everybody will attracts with the beauty of this color. This Lehenga Choli is in pink color has marvelous and perfect embroidery and zaree work on it, which make this Bridal Dress so perfect and so beautiful that everybody will like this. Silver color thread, zaree work with tattoos and readymade flower designs are being used to develop this beauty. Both Lehenga and Choli is is simple and regular outfit, which is looking awesome and decent. Two color combinations are now being used to develop modern and fashionable Bridal Dresses. This modern two color Bridal Lehenga Choli dress consists of fast reddish modern Choli and with fish cut Lehenga in green color. The dress has little work on it but still looking beautiful. Sleeve less choli is in extra length pattern because it has low and wide crew neck style. Silver thread work looking splendid on this Bridal Dress. Fish cut lehenga pattern is one of the most famous latest designers outfit. This mustered color Lehenga Choli have nice impact with the use of brownish color embroidery and zaree work. Lehenga is in fish cut pattern and looking marvelous while choli is in more modern style. Shoulder less choli has beautiful lining pattern in silver color which looking awesome. This bridal dress have the same theme as I explained above, but the color is more decent and attractive. Here we have some modern creations in Lehenga Choli dresses. 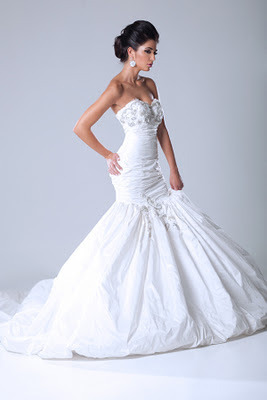 Designers really done well and creates such a fabulous Bridal Dresses to change the traditional taste. This Lehnga Choli Bridal Dress is in unique format. Lehenga has extra tail, which is looking great and fashionable. The theme is being taken from British Bridal Dresses. The Choli is being stitched like a short kurti. It has extra length, while the sleeves are in half fashion. This modern lehenga choli is looking more fashionable, the girls who want to look more fashionable and modern on their marriages will like this Lehenga Choli dress. One shoulder less choli in silver color fabric has slim tight pattern, while the lehenga is in simple and regular pattern. Beautiful Zaree, motif and embroidery work is being done on this modern bridal dress. Here we have some more fashionable, beautiful Lehnga Choli Bridal Dresses for you. You can find all the stuff and demanding designs and patterns according to your traditional and fashion taste. You will find some modern traditional bridal dress in this collection. Color combinations are also really superb and you will find every beautiful and dashing color in this collection.